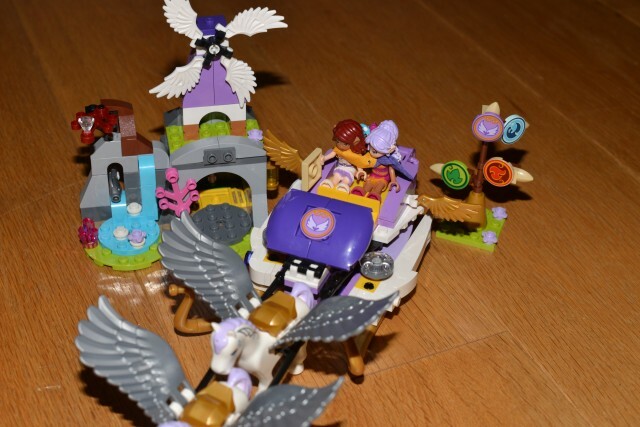 Despite my girls both generally leaning towards more boy themed toys they both adore LEGO Friends and the new Pop Star range is proving just as popular. 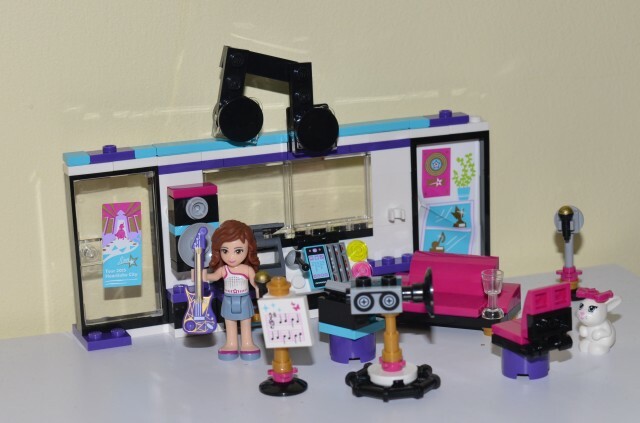 Sydney has the Pop Star Tour Bus on her Christmas wish list while Hannah is desperate for the LEGO Friends skate park, which I might actually put on my list as it looks so cool! The Pop Star Tour Bus ( rrp 49.99 ) comes with everything you’d dream of having on a tour bus, including a hot tub, pull out stage and outside party area complete with speakers, sun loungers, umbrellas and much more. How much fun would you have if that was real?? The Pop Star Recording Studio is a lovely starter set in this range with an RRP of £12.99. The cleverly designed two-sided studio features a recording booth, production room, speakers, control panels and even a CD player with eject function. Hannah’s favourite Skate Park set is one of four new sets that extend the tourist theme and also includes the amazing looking Heartlake Grand Hotel, private jet and tourist kiosk. 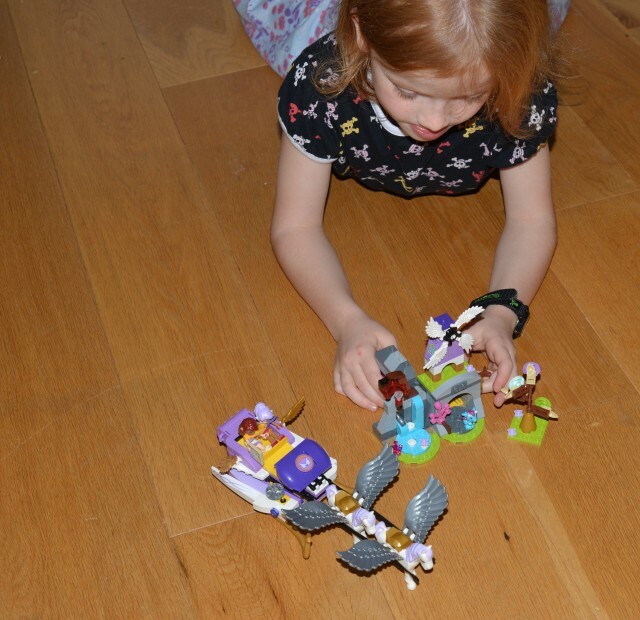 Have you seen the new LEGO Elves range? I love that it has a story behind it. A normal girl Emily Jones finds herself transported to the mysterious land of Elvendale where helped by her new elf friends she must solve riddles on her quest to find four missing keys to unlock the portal to return her to her own world. Before building the set we watched the introduction video which tells the story of Emily and how she meets the elves. The video immediately caught the girls interest and sparked their imagination. They chattered away excitedly as they hunted for the key in Aira’s Pegasus Sleigh set. Load up the chest with cookies for the journey and then follow the magic map with Aira and Azari Firedancer, the Fire Elf, to an ancient windmill in the sky. Miku the baby dragon has the last key, but how will the elf friends get it from her? Help Aira muster her magic wind powers to blow cookies towards Miku, and distract her long enough to grab the key. Priced at £34.99 this is a decent sized set with lots of lovely little details. The baby dragon is adorable and Hannah thought it was hilarious that the Elves distract him with cookies so they can take the key from the cosy cave. The sails turn on the windmill and the wings of the sleigh pop out. I love that these sets tell a story and invite the children into a magical fantasy land inspiring their imagination and creativity. Which is your favourite product from the new ranges? We were sent the Pop Star Recording Studio and Aira’s Pegasus Sleigh for the purpose of this post.